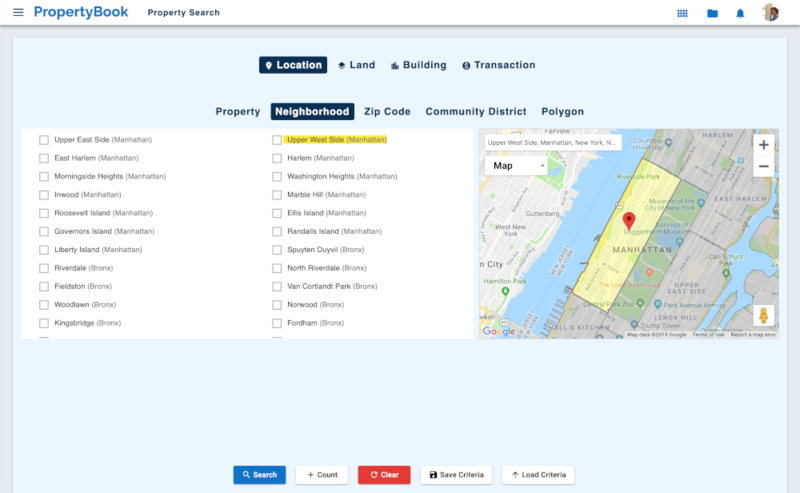 Filter your PropertyBook search by Neighborhood, Zip Code, Community District or a Custom Polygon. 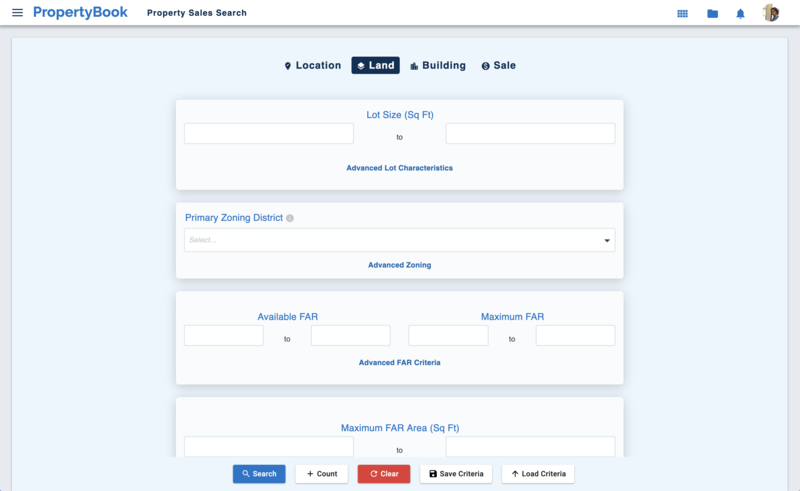 Search by Lot Size, Lot Width/Depth, Lot Type, Zoning District, Easement Count, Land Use, Historic District, Special Purpose District, FAR (Floor Area Ratio) and Zoning Lot Area. 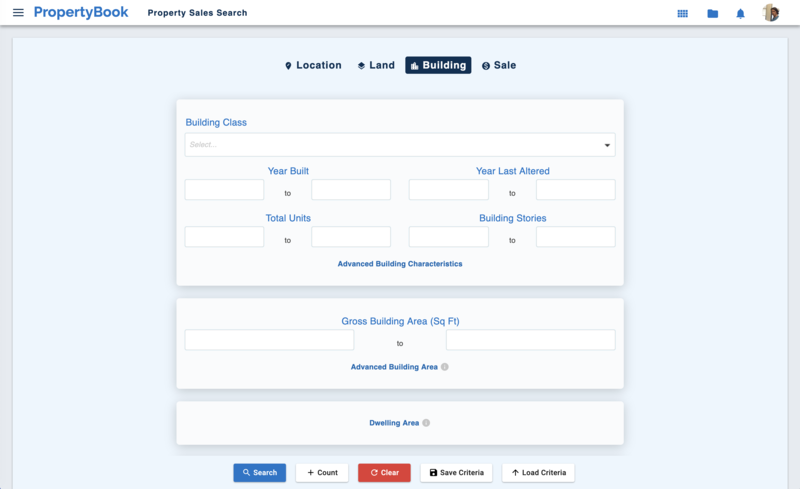 Search by Building Class, Building Area, Building Stories, Building Width/Depth, Unit Count and other Building Characteristics to find the properties you're looking for. Search by Owner Name or partial Owner Name. 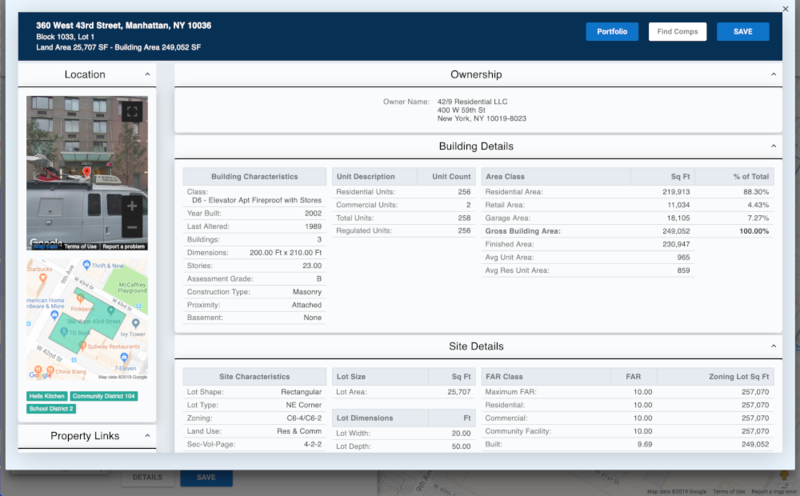 Uncover an owner's entire Portfolio with a click. 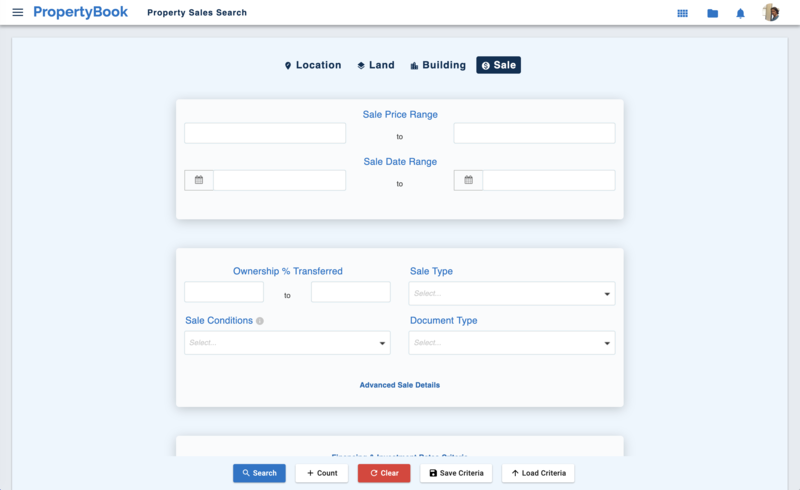 Search for properties by Last Sale Date, Last Sale Price, Debt Amount and Last Mortgage Date.